Inspired by Chibi’s recent paintings and taking a break from gundams, I decided to do a digital painting of one of my favourite actresses – Erika Toda. This painting was really fun, it’s always amazing seeing your work slowly come to life (=. So here it is – Digital painting of Erika Toda (she also played Misa Misa from Death Note live action). I love how the face and hair turned out. I paid alot more attention to it than any other part because if the face is off, well, it becomes a different person. 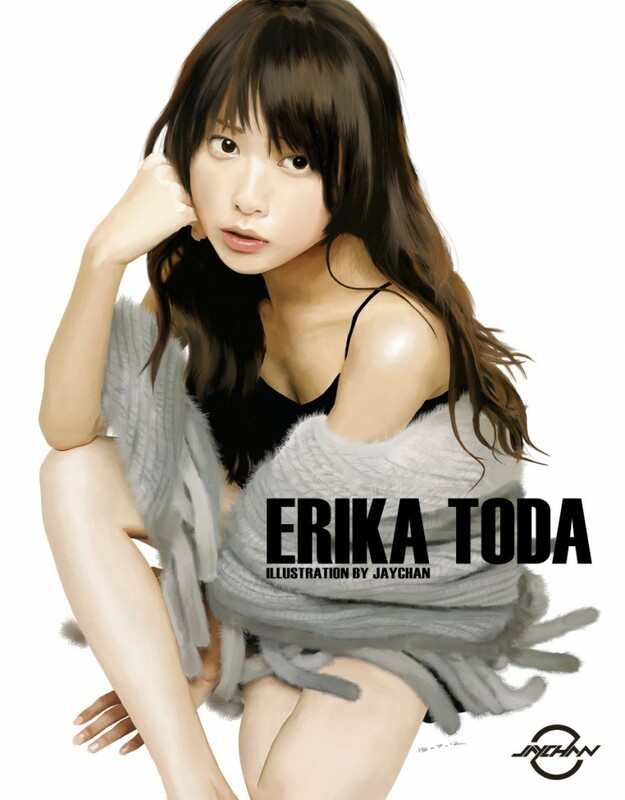 I want to paint Erika Toda, not an Erika Toda look alike. I had some trouble painting the grey piece that wraps around her. It’s got some really intricate textures which is quite troublesome to replicate. Hopefully I can do better next time. Here’s a quick WIP, each frame represents a progression period of 1-2 hours. I used the Mixer brush in CS5 for the first time and I’m quite impressed with it. 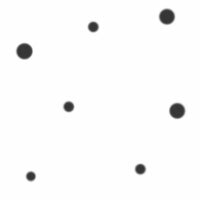 The Mixer brush is like a normal brush with blending powers. Each stroke blends the colors of the stroke path, resulting in a really smooth and crisp blend of colors. Not completely happy with the hair, I think more work can be done towards the bottom right side. It’s something I need to improve on. I also made a custom hair brush that saved me alot of time doing each individual stroke. Also helped alot with the fur. Really impressive 😀 This makes Chibi so proud ^^!! And yay for an animated WIP! I can’t believe how nice that skin looks omg O_O Also really like the nose and lips..
Hey, it’s Marcus with a new alias XD. Oh, a WIP animation! =O Could it be that it starts off nakkkkkke–nope (/._.\). Just kidding XD. Yeah, the drawing is really good. I’m not understanding the Mixer brush thing too well. Maybe I should download the trial to check it out. Of course, I say that, but I understand a drawing takes a lot time to do. Yo! M12.. I mean feedthe133t..I mean crisis empire…I mean…ahhh forget it, I’ll just call you Markuz!